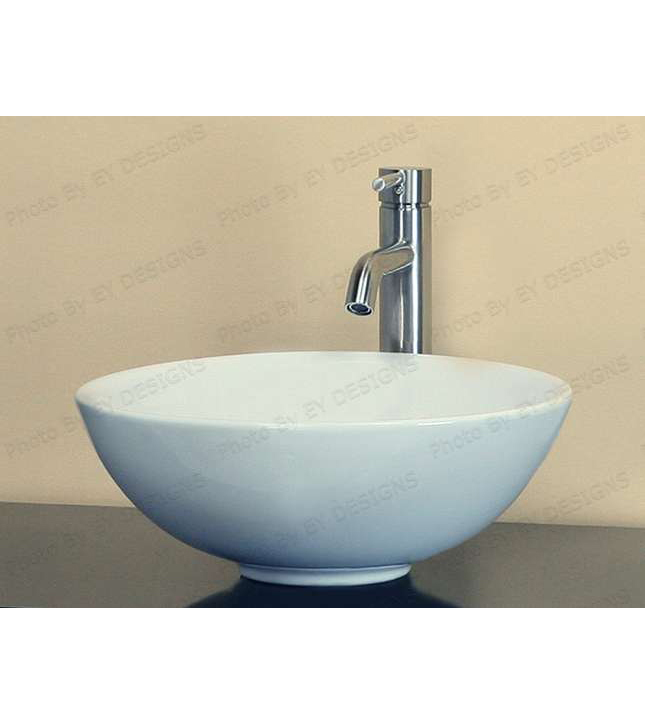 Round bowl ceramic porcelain sink (CW034), BathImports 70% off Vessels, Vanities, Shower Panels. Always striking and correct, the bold white of this ceramic vessel will add sophisticated European appeal to your bath or powder room. For a dramatic interior and years of pleasure, you can’t go wrong with this classic look. Baked finish to ensure life span and less maintenance. Ceramic: High grade impact resistant.